It’s always such a joy to travel with my nieces and nephews and this summer, that privilege was all my mum and dad’s. They had the privilege of hosting six-and-a-half-year-old Ophelia for her first week away from home – a treat for all parties, to be sure. Mum and Dad planned an action-packed week to keep Ophelia entertained and happily weary by day’s end. We thought we might share the highlights of their week for those traveling to in and around Chester with family. Chester Zoo: A day spent in the company of Humboldt penguins, two-toed sloths and Asian elephants is a magical one, in any kid’s book. Ophelia was smitten with this vast and award-winning zoo and its 15,000 animal residents. Among her favorites: learning about meerkats with a zoo ranger, climbing and crawling around the new Madagascar PLAY! Area and walking amidst delicate, fluttering butterflies as part of the remarkably colorful and lush Butterfly Journey. Blue Planet Aquarium: From elephants to sharks … continuing their animal adventures, this beloved trio of mine visited Chester’s Blue Planet Aquarium, housing one of Europe’s largest collections of big sharks – sand tigers, lemon sharks, zebra sharks, nurse sharks, black tips, white tips and more. Visitors can gaze at the undersea beasts on a stroll along the moving walkway through the Aquatunnel, one of the world’s longest underwater tunnels. Everywhere you look, kaleidoscopic tropical fish and toothy sharks are gazing back. 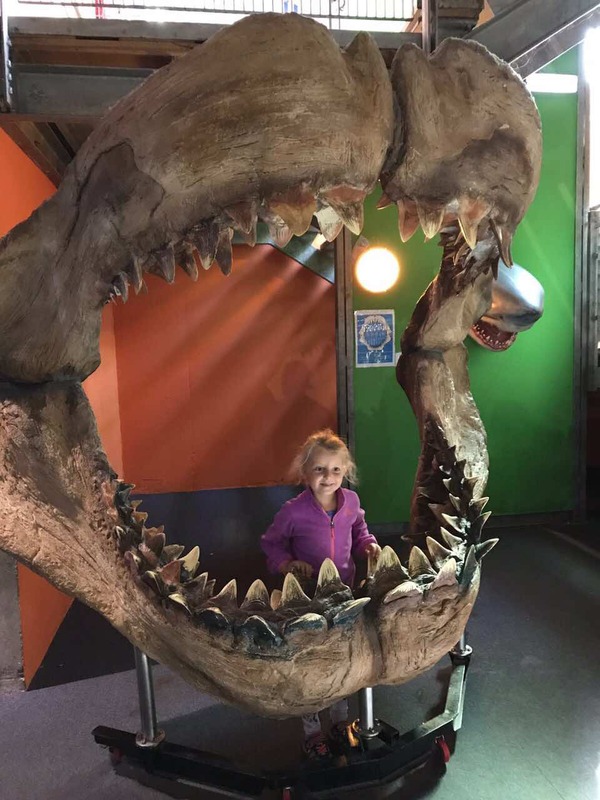 For the most intrepid young ones, there’s the Kids Dive with Sharks experience, complete with special kid-sized scuba gear and an Ocean Tank dive with black tip and white tip sharks. The Ice Cream Farm: Summer fun isn’t complete without ice cream … and there is perhaps no better place to indulge than The Ice Cream Farm in Chesire. Where else can one say they have visited a veritable “ice cream amusement park”? Come for the award-winning ice cream (nearly 50 flavors) at what many consider the world’s largest ice cream parlor, and stay for the free play area, with its enchanting surprises and magical ice cream tree. Among Ophelia’s favorite flavors: blackcurrant cheesecake and the white chocolate/raspberry/Oreo cookie concoction. Once you’ve satisfied your sweet tooth, there’s more fun to be had, including a candylicious golf course, a petting zoo at the Fudge Farm and a sand and water play area. Delamere Forest & Fresh Berry Picking: I have lost track of the number of times I had read aloud The Gruffalo to Ophelia, a bedtime (or anytime) favorite, so imagine her delight when my parents mentioned that one can follow the Gruffalo Spotters trail at Delamere Forest to locate Mouse, Fox, Owl, Snake and the Gruffalo. It’s as easy as downloading an app to your phone, visited the forest, and searching for clues along the trail, which lead to footprint marker posts. Such fun! This is the largest wooded area Kenyon Hall Farm, where Mum, Dad and Ophelia filled up on blackberries and homemade jams and chutneys. It was a match made in heaven – Mum, Dad and little Ophelia – and she’s all ready to visit on her own once again next summer. If you have clients with young children visiting the Chester area, our partners at Original Travel UK, as well as Oddfellows Chester, have myriad ideas for keeping the little ones entertained and would be happy to craft a customized itinerary.